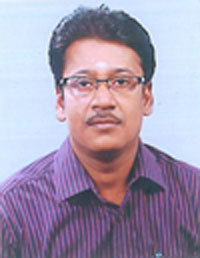 Dr.J.Jeyavenkatesh is a Post Graduate in Siddha Medicine and working as an Associate Professor. He has also completed Assessor Course (AYUSH), NABH, QCI, Government of India. He born on 1973 at Karapidagai Village in Nagapattinam District and completed his school studies in TVS Hr Sec School, Madurai. He has more interest on Studies and completed more than 20 Courses. He has completed B.S.M.S in The Tamil Nadu Dr.M.G.R. Medical University, Chennai and M.D (Siddha Pothu Maruthuvam) in The Tamil Nadu Dr.M.G.R. Medical University, Chennai. He finished P.G.Diploma in Medicinal Plants at Madurai Kamaraj University, Madurai and M.Phil in Herbal Science at Tamil University, Thanjavur. He has more interest in Yoga and completed P.G.Diploma in Yoga Education at Bharathiyar University, Coimbatore and M.Sc Yoga and Naturaopathy in Manomaniam Sundaranar University, Tirunelveli. Trusted activities in environmental health and Public health initiated him to complete M.Sc in Environmental Science at Bharathiyar University, Coimbatore and M.Sc Public Health at Annamalai Universtiy, Chidambaram. His research area in Social Medicine initiated to complete M.Sc in Medical Sociology at Madras University, Chennai. He introduced all the 32 types of external therapies in his hospital developed interest on Varma, Massage, Acupressure, Acupuncture, Cupping leaded him to complete P.G.Diploma and M.Sc in Varma and Thokkanam at Tamil Nadu Physical Education and Sports University, Chennai. He also introduced Siddha Thoda Samana maruthuvam in his hospital and gained knowledge from the course P.G.Diploma in Panchakarma at Tamil Nadu Physical Education and Sports University, Chennai. He showed interest on Modern Diagnostic methods and out of interest completed Certificate Course in Medical Ultrasonogram at Bharathithasan University, Tiruchy. His research area is large and doing Ph.D research in Siddha Drug Standardisation at Tamil University, Thanjavur. Presented more than 14 papers in State, National, International conferences. 6 papers were published in scientific journals. Doing Ph.D in Department of Siddha Medicine, Tamil University, Thanjavur, Taminadu. Apart from research he is working as Associate Professor in Siddha Medical College since 6 Years and appointed as Guide for Varma courses, Herbal Education and Herbal Cosmetology courses offered by various universities. Continuing research in Siddha Medical Science for innovative Bio Medical Instrumentation, and Siddha Therapeutic device development, he developed following inventions and applied for IPR. Review of few literatures and exploring the scope of nano-drug delivery in Siddha System of Medicine. “National conference on recent trends and applications of nanotechnology in pharmacy and biology” organized by Dept of Pharmaceutical Technology, Anna University, Tiruchirappalli on 21.01.2010. Exploring the Hidden Science of Nanotechnology and Review of various methods of drug delivery in Siddha System of Medicine. “National conference on nanotechnology: Current approaches and application” organized by SPKCES, M.S.University, Thirunelveli Dt on 05.02.2010. Thiraikadal thandi tirumbiya siddha maruthuvam. Exploring Modern Physiotherapy and Traditional Thokkanam of Theraiyar Tharu – An Explorative Study. Various Siddha treatment methods and Ayurveda Panchakarma. Quorum quenching and anto oxidant activity of selected common medicinal plants. Operative procedures for Therapeutic Varmam. He has published 11 Tamil books highlighting Siddha Medicine, Yoga, Herbs and Health care etc.